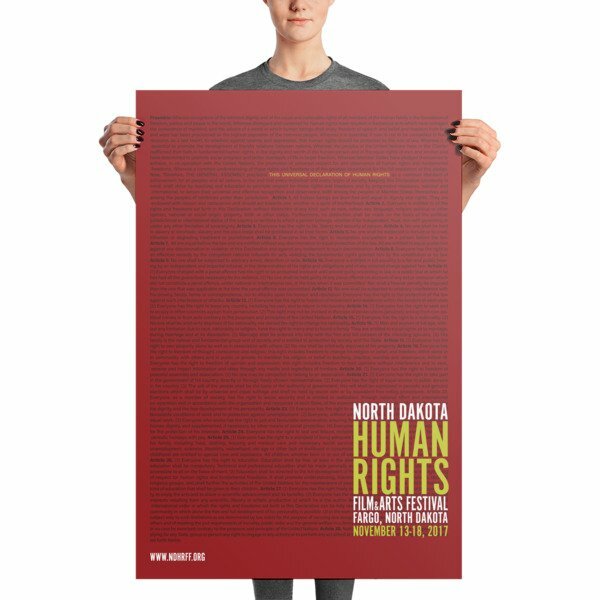 The award-winning teaser poster for the inaugural North Dakota Human Rights Film Festival. 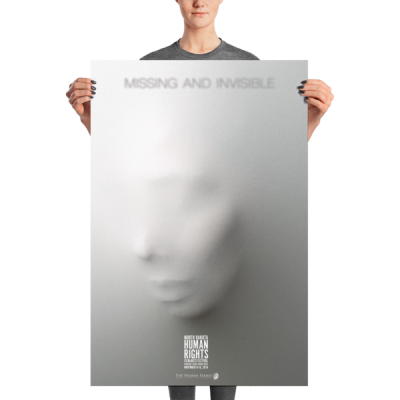 Featuring the entire text of the Universal Declaration of Human Rights, the poster received top honors from the American Advertising Association with the award of a Gold Addy. This poster has a partly glossy, partly matte finish and it’ll add a touch of sophistication to any room.